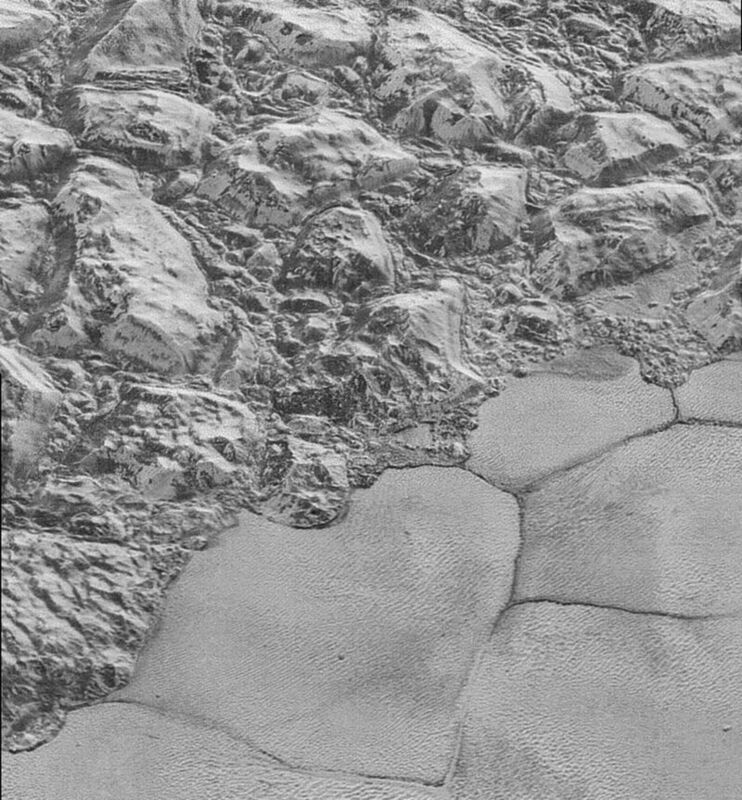 According to scientists studying NASA's 2015 New Horizons flypast data, dunes made of methane sand have been discovered on Pluto. When first observed, scientists saw what looked like 357 dune-like ridges and six dark streaks on a large plain called the Sputnik Planitia. An initial hypothesis was that they were pits formed as the weak sunlight warmed the icy surface of nitrogen, methane and carbon monoxide, sublimating the ices into gases. However in this situation, the scientists realized that the pits would have been at right angles. Instead, the dune theory seemed to make more sense. By using models of the weather conditions found on Pluto created by Eric Parteli at Cologne University, it was found that despite the thin atmosphere, the extremely low gravity on Pluto - one twelfth of the gravity on Earth - meant grains of solid methane could stay up long enough to be blown into dunes. “It’s exciting that we can go to such a remote, exotic, unusual landscape, at minus-233 degrees Celsius, and yet come out with something that is reassuringly familiar,” said Matt Telfer from the University of Plymouth. “We have snow – or grains – blowing around; material coming down from the mountains forming dunes on the ice cap below.